We have all seen these street artists colouring our pavements without could not put the finger on what the piece actually represent. It is because you are not looking at it at the right angle. 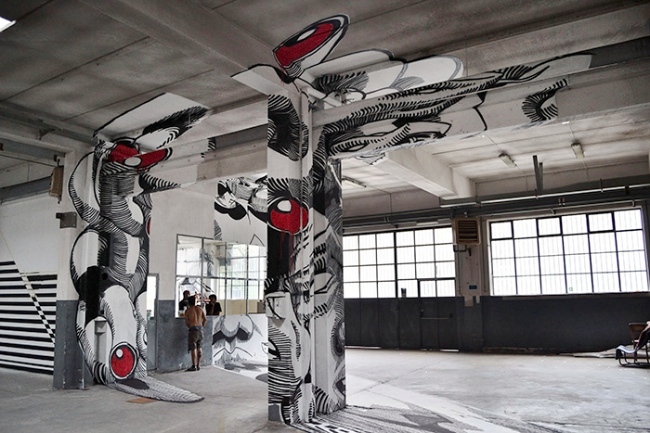 We are talking here about anamorphic art which has recently flourished all over the world. 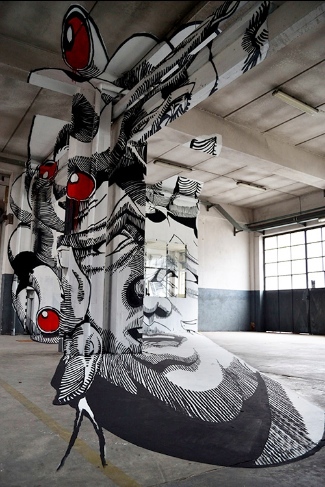 But some artists take this form of art to the next level making it methodical and magical. 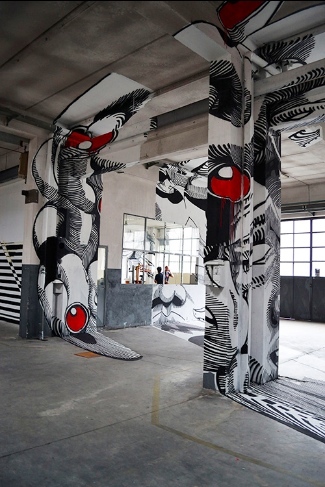 Located in the factory hosted by Sub Urb Art based in Torino (Italy), Medusa, figure from the Greek mythology, has taken the patience, attention to detail and talent of two artists, Ninja1 and Mach505. The number of surfaces used is phenomenal and make the task daunting. It took 35 hours to paint the whole lot. 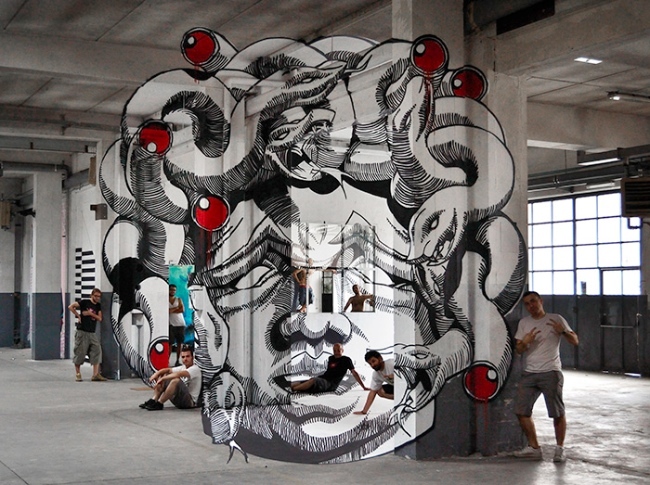 It was achievable by projecting the outlines of an existing Medusa drawing on those surfaces and paint over them.